By Odile Meulien, a French American Sociologist, Curator and Collector. For the artist Dietmar Öhlmann, art is movement of the spirit understanding a burden. His artworks results from his questioning and perpetual experimentations transgressing categories, may it be art, science or technique. The study led him, from Physics, to photography, art, holography and digital media, as well as from Braunschweig, Chester and Liverpool to London, where he passed successfully his Master of Arts at the Royal College of Arts. His training and the many exchanges he got with artists and scientists gave him the basics to penetrate the depths of Gestaltung. His experiments transgress the laws of impressionist, watercolor painting and photography, bringing him to paint with the light of holography. Dietmar’s artistic work is between two dimension and multi-dimensional experiments of any possible medium to create his vision. Working almost like a scientist he makes research about perceiving a multidimensional world. Not about the cyberspace created for new cinema creation, nor the reality, which seems to be created by communication. It is the search for the reality we perceive, when the mind „touches“ an object with its senses. In fact, it is a study of the surface of an object, which we can record in its visual appearing, its structure, shape and colors. 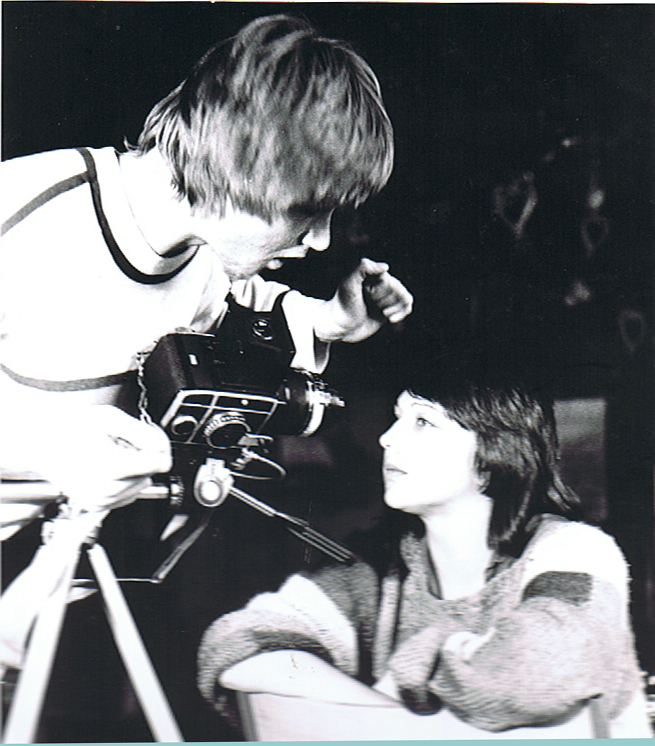 When using photographic media, Dietmar recalls that the tactile sense of the structure is missing, when using some other reproductive media; “we experience somewhere a sensation of fault, something different”. 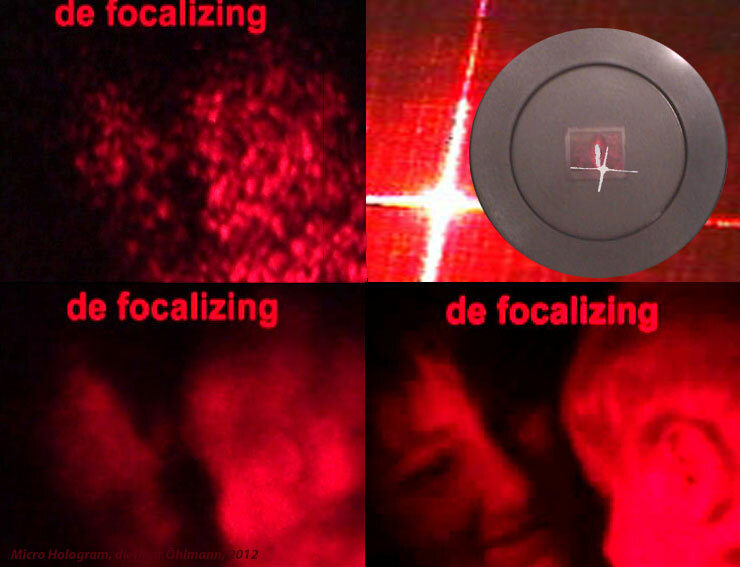 In Holography, Dietmar found a way to play with the time-space-paradox. In his none Hologram series, combining sculpture and light, Dietmar confronts touchable sculpture and visual perception. In his room installation, Genesis, the reality of the “matrix”, a mathematical holographic recording, danced at us and get transformed as soon as we try to touch it, transforming all its reflections in a perpetual creation. The installation “Micro-hologram”, combining photography and hologram, gives access to those who can read the layers of visual information, at the same time at a micro and macro cosmos, all in one, all at once! His artworks, real source of inspiration, are internationally in exhibition and private collection. He is living with his family on the border of France and Germany, consulting companies for producing four dimensional display for the industry, architecture, education and museums. Fidel to his paper “call for a new generation of artists” Dietmar commits regularly himself in educating young people and people with disabilities. His gave numerous presentations and his publications complite his life’work. 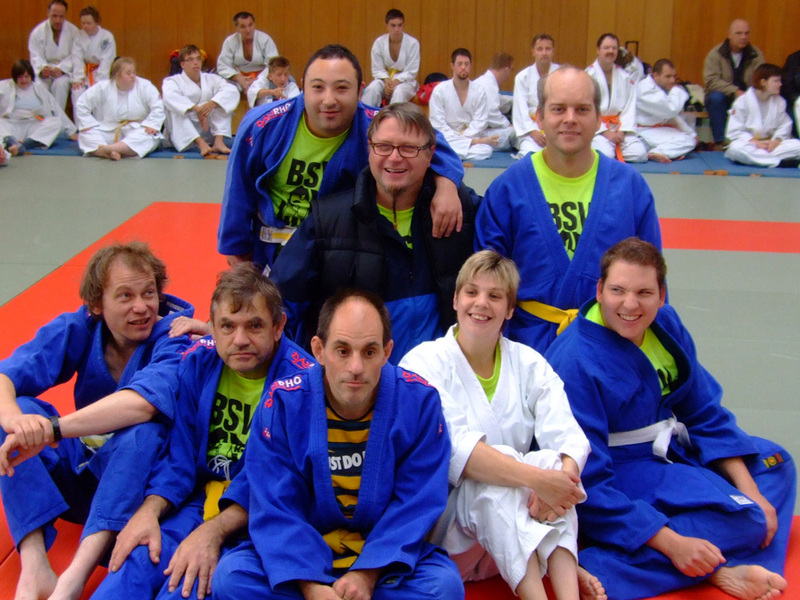 Educator, instructor, sponsor in Rehabilitation and Judo-Sport, Dietmar and his Judo fighter.